The Zignature Whitefish Formula is available for you to pick up at North Fulton Feed & Seed. 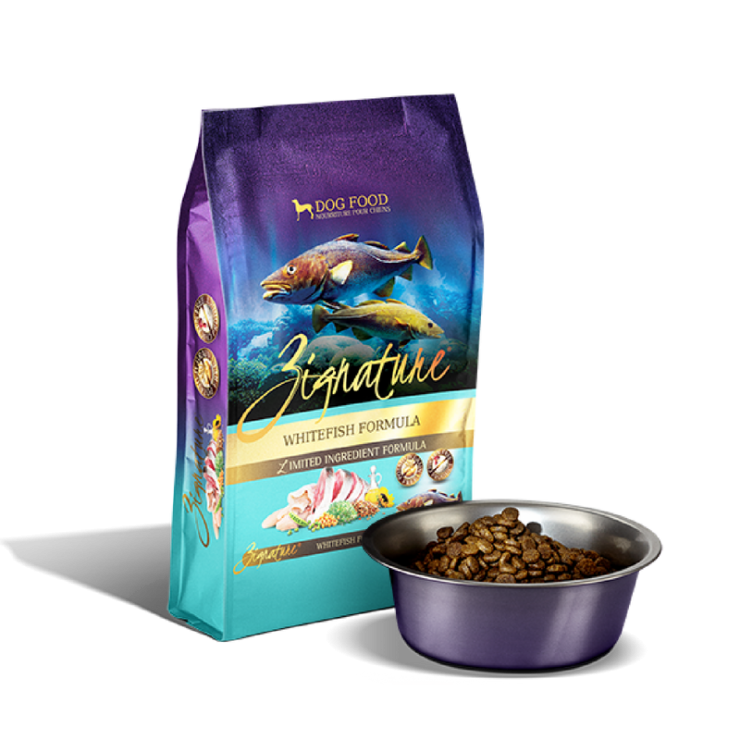 Our Whitefish Formula dog food, made from whitefish in the Pacific waters of Oregon, Washington, and Alaska, is a good start to try elimination diets for your pup. Whitefish is rich in Omega-3 fatty acids, Vitamins B6 and B12, Niacin, Phosphorous, Selenium, and is low in sodium, making whitefish the best dog food. The healthiest pet food is a grain free dog food, meaning our Whitefish Formula is a hypoallergenic dog food, keeping any pet food allergy at bay. Mixed with fruits and vegetables to provide powerful antioxidants, our Whitefish Formula is the healthiest dog food.